CD2: 65:54 O Come All Ye Faithful/I’ll Go Crazy If I Don’t Go Crazy/Two Tribes, Sunday Bloody Sunday/Get Up Stand Up, Pride, MLK, Walk On/You’ll Never Walk Alone, Where the Streets Have No Name, Desmond Tutu Speech, One Bad/Fool To Cry/40, Ultra Violet (Light my Way), With Or Without You, Moment Of Surrender. U2 is currently on a massive world wide stadium tour in which their stage set up is receiving more attention than the band for change. This new release from the excellent godfather Records is their usual cardboard tri-fold, but inside is an incredible crowd shot picture of the inside of Wembley Stadium, featuring both the huge crowd and the massive stage. U2 is currently in North America. 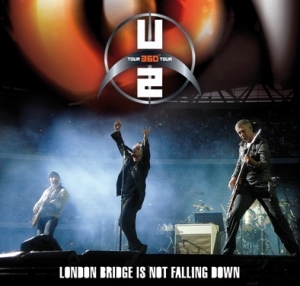 London Bridge Is Not Falling Down is an audience recording that starts out distant, but gets much better as the concert goes on. There is no crowd interference on the recording anywhere. The band is very tight for this show and Bono’s voice is in prime form. He has had voice problems over the years which is why I bring this issue up. He talk Until The End of The World, as opposed to singing the song, but fortunately, seems to have stopped filling their songs with “Y’all”. Throught this release, their are credits for other artists songs like Here Comes The Sun, Break on Through, and one of our favourites, Zepp’s Rock And Roll. They don’t play these entire tunes, just throw in a line or two here and there, or in the case of RNR, Bono just sings, “It’s Been A Long Since I’ve Rocked And Rolled”. As I mentioned earlier, the quality of the gig does increase to the point of this release evolving into an excellent set, as the bands playing increases in the tightness and output of the music. 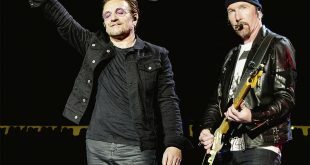 As with most of U2’s tours throught their history, they lean towards new music. A majority of songs from this concert and tour are from No Line On The Horizon, and their previous three records. Breath is played at a very heavy and fast pace. 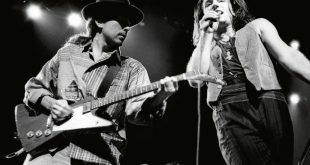 I have to admit, when I first heard Get On Your Boots over the radio, I thought, “what a dunb song”, but it takes on a whole new attitude live, played like a great rock song and the crowd reacts to in that matter. Magnificent is also played with a whole new and vibrant energy. It’s good to have a rock band touring these days that’s not living in the past. The set list is pretty much the same. They do change News Year Day and Until The The End Of The World around a bit, and add Elevation, to some shows. I still Haven’t Found What I’m Looking For/Stand By Me and Stay(Away, So Close) are played acoustically and the crowd sings along to Stay, really creating a great atmosphere and this does seem to the point in the concert where the band and crowd really begin feeding off each other. The Desmond Tutu speech, which is made for this tour and is shown on the massive 360 video screens is moved before the band plays One, and it sounds like that it’s meant to be there. Other concerts earlier in the tour it’s shown before Where The Streets Have No Name. 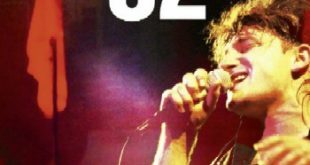 During One, Bono sings a line “Did you come here to play Jesus? Well, I did”. BAd/Fool To Cry/40 are played together, and after 40, which they play sparingly over the years, just quietly fades oout. It’s pretty effective for the moment. There are no bonus tracks included, which I think is fine for Godfatherecords to do. This is an outstanding concert on it’s own merrits, complete in itself and the quality is outstanding. Highly recomended for everyone. To add to the question above, I’ve heard all the U2 releases for this tour from Godfather with the exception of June 30th, 2009 Camp Nou Barcelona, Spain release and the one above is my favorite as far as long set list and performance. This also has great sound quality. 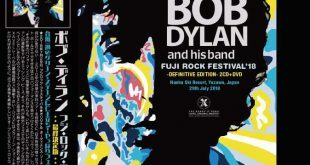 I prefer Milan july 7 in terms of sound quality but in my opinion this is absolutely the best european concert. I don’t have those shows so I really can’t compare them. How do you compare this title to both from Milan, Italy, also released by Godfather?